Stock market watchers are expecting more turbulence Monday after a rocky August. Outside the U.S., China’s markets tumbled as did those in Asia. Markets in France, Germany and the Middle East were shaken. There’s already a hashtag, #BlackMonday. 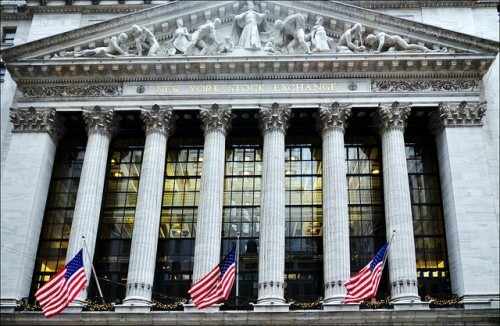 All eyes on are the New York Stock Exchange, which fell sharply for two days in a row last week. The weakness of U.S. markets is something of a surprise, given that unemployment numbers have dropped, real estate sales are strong in many places, and the Federal Reserve has held off on raising interest rates. But when markets fall, editors and your audience want answers. Here are some fresh tips to help you to cover what’s going on. Look for local ties to market declines. Of course, you’re already monitoring the shares of local companies traded on the NYSE. But, you also should keep an eye on their operations around the world. For instance, weakness in the Chinese economy could affect a locally based auto supplier or clothing manufacturer. Have they taken any steps in response? You also might have a sizable Greek community or people of European descent who are concerned about economic developments at home. How do they view the turmoil? Business leaders can offer insights. Talk to regional brokers. Many papers and broadcasters frequently speak with local brokers, but you might go broader and find analysts and traders who track companies in your region. The market decline might be having an impact on all your surrounding states. Get an overview from economists at the 12 Fed districts. And, see our tips for covering regional economies here. Ask your audience. The stock market is often a topic of breakfast and lunch conversation. Go to local hangouts, and talk to patrons about their concerns. Bring up the market when you cover the Rotary Club or a press conference by a local company. Turn the tables on your readers and listeners, and ask for their views. These can turn into interesting and lively stories and broadcast segments, since everyone has an opinion. Get audio and video as well as Web reactions. Watch for local projections. Companies are wrapping up the third quarter of 2015 and heading into the fourth quarter. That means it’s budget season, and companies often have to include stock market performance in their revenue projections for the new year. Set up interviews with the chief financial officer or investment executives at your local company. Even if they don’t want to talk on the record, they can give you some valuable guidance on how they are watching the market activities. Some CEOs, like Tim Cook at Apple, are even reaching out to market watchers. The market also is likely to be a topic of conversation during third quarter analyst calls and Q&As with journalists that will begin in October. Take notes now for questions you can ask later. Follow business experts. Since markets move so fast, it’s good to have a list of business journalists and economists on social media that are providing updates. On Twitter, start with CNBC’s Carl Quintanilla @carlquintanilla; Ali Velshi of Al Jazeera America @alivelshi; Kai Ryssdal @kairyssdal of Marketplace on NPR stations and Diane Swonk @DianeSwonk a Chicago based economist. The Wall Street Journal has a list of 50 finance related Twitter accounts.